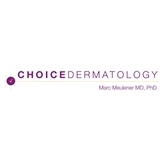 Choice Dermatology (Basking Ridge) - Book Appointment Online! In an age of volume medicine, there are few practitioners that are willing to take the time to perform a thorough exam and actually get to know the patient. Choice Dermatology is dedicated to outstanding medical care where the patient spends the entire visit with the dermatologist without the use of physician extenders. We believe in providing a family atmosphere with an emphasis on the development of a strong patient-doctor relationship. Furthermore, we understand that our patients have busy lives, and we value their time as much as we do our own. We will work hard to ensure that you will be seen in a timely manner.